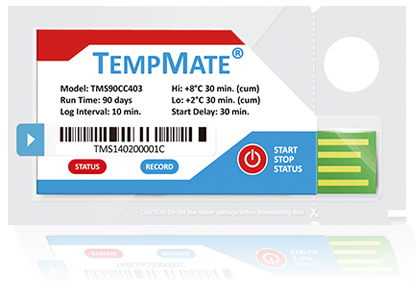 CAPLINQ introduces TempMate®, your reliable, low-cost solution for your refrigerated or frozen supply chain. The package couldn't be more simple - just press and hold for 5 seconds and go! 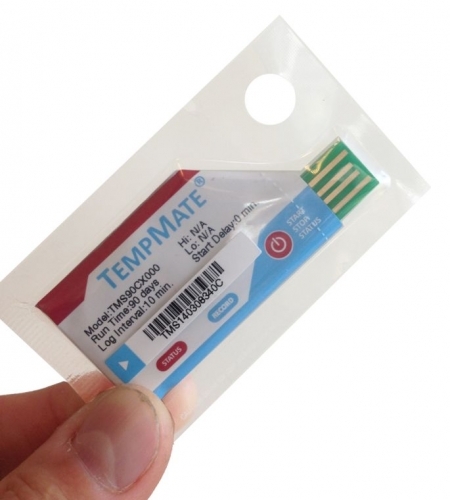 This 90 day single-use, disposable USB stick is packaged in a moisture-resistant plastic packaging, keeping the electronics safe from humidity until it has safely arrived at its destination. Once arrived, your customer simply presses and holds the device for 5 more seconds to stop the logger. 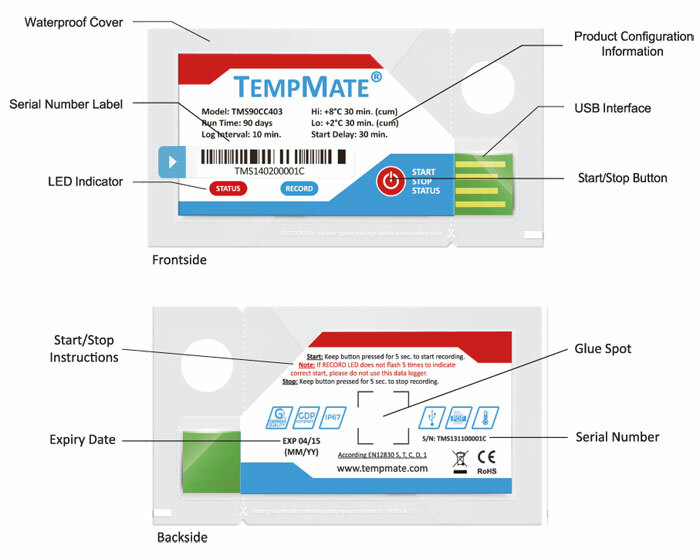 Your customer then opens the plastic packaging and plugs the USB drive into any computer. 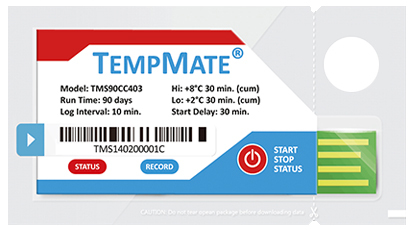 The entire temperature history is provided in a PDF Report located on the USB drive. This product has been discontinued and is no longer available. Please contact us so we can recommend an alternative product.